For over 25 years our experienced team has helped create thousands of stylish, affordable & fully functional kitchens to suit a variety of lifestyles and budgets. 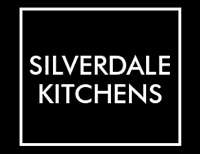 At Silverdale Kitchens we listen to your ideas, give expert advice & deliver the new kitchen you had in mind, maybe better! We offer a complete design, manufacture & installation service using state of the art CNC technology to craft superb kitchens, bathroom vanities, laundries & tailor made cabinetry. Visit our showroom today or call us for an appointment! We pride ourselves on producing a quality product that looks great, functions well & will stand the test of time! As testament to this, Silverdale Kitchens only uses the best proven quality materials & newly installed kitchens are endorsed with a 5 year workmanship warranty.